Creating atmosphere and mood in their work is a key goal for artists; it is also the area that needs the greatest amount of guidance to master. Ray Balkwill is renowned for his skill in capturing a variety of moods in his work; here, for the first time, he devotes an entire volume to exploring the approaches and techniques behind his unique ability. 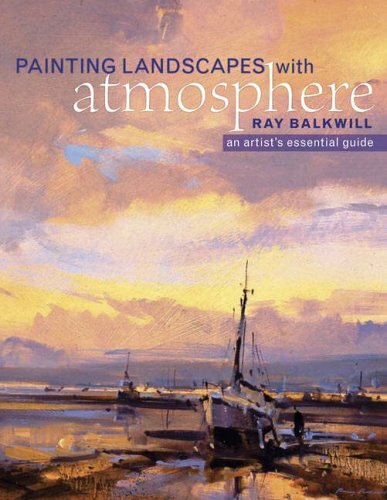 Exploring all aspects of landscape painting, Ray offers full, practical guidance for all artists through structured exercises, step-by-step demonstrations, and clear instructions. A remarkable gallery of his outstanding back catalogue to date will provide further inspiration. Ray Balkwill is a renowned artist who paints in watercolours, pastels and oils. He regularly contributes to The Artist magazine, as well as International Artist and Pastel Artist International. He is the author of two books including Watercolour Plus (David & Charles), and his work has been featured in many other publications. He lives in Exmouth, Devon.